Lea Corbett, founder and director of Map consulting group, explains why the newly launched network of mature aged professionals is a case of “two birds, one stone”. Not that we throw stones, nor suggest that you do, but the metaphor is apt to describe the concept behind Map consulting group, which launched in Victoria this week. Map is a new network of mature aged professionals (map) who have committed to consulting to not-for-profit organisations on a capped fee basis. The group has two main aims: First, to provide community and social sector organisations with an affordable way to tap into the experience of mature age professionals with substantial careers in senior and executive level roles. Second, at the same time, to challenge the stereotypes and myths around ageing that frequently impact the careers of older workers. Let’s consider the facts in relation to our ageing population. Australia, like most advanced industrial countries, has an ageing population thanks to scientific advances lengthening life expectancy, together with the large “bulge” (demographically speaking) of baby boomers now in their fifties, sixties and seventies. Research and experience to date suggest that unlike their predecessors, a significant proportion of this group will not “retire” but rather will either want or need to work in some form into their seventies and eighties. It is good for them, good for our economy (according to Deloitte modelling, which estimates that a 5 per cent lift in paid employment among workers aged 55 and over would contribute an extra $48 billion in GDP) and good for our society more broadly for baby boomers to stay connected to the labour force. Yet ageism (impacting both younger and older people) is rife in the Australian employment market, based on misinformation and persistent stereotypes. In the case of older employees these relate to their mental acuity, digital literacy and capacity or willingness to innovate and change! Once again, the substantial body of evidence paints a different picture – that the vast majority of people are at their peak professionally/intellectually as they enter middle age (50-75 years) and are accomplished users of technology. As far as the “you can’t teach an old dog new tricks” myth goes, a recent study from the US found the most successful entrepreneurs tend to be middle-aged, even in the tech sector. The study findings strongly reject common hypotheses that emphasise youth as a key trait of successful entrepreneurs. Turns out innovation also requires a bit of wisdom! So while some have been encouraged to resent an ageing population, others see opportunities for disruption, social impact and personal fulfilment. These are the things that underscore one half of Map consulting group’s approach – a commitment to harnessing the hard-earned experience and talent of mature age professionals, not letting them go to waste. The other half of our approach concerns our commitment to the NFP sector. Why do we exclusively target our services to not for profits? The reasons for this are numerous – here are the top four. The sector is large, diverse and growing. 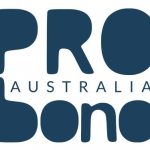 There are around 53,000 registered charities and not for profits in Australia according to data from the Australian Charities and Not-for-profits Commission (ACNC). the number of paid staff in charities increased by 4.4 per cent. Whether or not the number of NFP organisations is growing as well depends of how you measure them. ACNC registered charities and not for profits have declined recently, due to the fact that the commission revoked the charity status of over 11,500. Growth in demand for social services is strong, and the number of social services not for profits is also growing. Recent analysis by VCOSS of a subset of the ACNC data indicates a small increase in the number of NFP organisations in Victoria, and there is evidence that employment growth in the “health care and social assistance” industry will be among the strongest in Victoria over the period up to 2022. The sector has achieved, and is continuing to achieve a huge amount of good with very little. Of course we still do not have meaningful and consistent measures of the impact of many organisations in the sector, but we do know its sheer size and economic contribution is significant. Volunteers alone contributed almost $15 billion in unpaid work to the national economy in 2006-07. But it is the qualitative differences made to the lives of the most vulnerable and disadvantaged in our community, to the wellbeing of animals and to the health of our natural environment that makes the sector so valuable. The consultants who have registered with Map consulting group have enjoyed successful careers in the public, private and/or not-for-profit sectors and are now looking for greater satisfaction and meaning from their work. Map was formed to enable them to contribute to strengthening the sector so that its impact can grow. The sector has identified significant capability gaps. The need to invest in organisation capacity building has been identified time and time again by the sector itself. The challenges facing the sector are considerable. Former commissioner of the ACNC, Susan Pascoe highlighted some of these challenges in her address to the 2018 Community Director’s Conference. Ms Pascoe’s list included increased regulation, declining funding, better evaluation and measurement of impact, and the need to embrace diversity. To this we might add more complex or wicked problems, rising inequality, big data, technology, change management, innovation, revenue diversification and commercial orientation. Map consulting group targets its resources to meet your challenges. We cap our fees to keep our services affordable. Our consultants will listen to you and your people, transfer their learnings and build the skills and know-how to make your organisation stronger in future. We are not your average consulting group. Note: Map consulting group only operates in Victoria. About the author: Lea Corbett is the founder and director of Map consulting group. She has spent more than 20 years as a public policy analyst and executive working in management consulting and with the Australian and Victorian governments. Lea has also spent many years working with women’s, disability and community legal NFPs, has consulted to NFPs and served on NFP and government boards.